What is your Idea or Purpose? One of the things that we love most about stones is how versatile they are! We love to see and hear all the different ways that our customers are using their stones in everyday life. 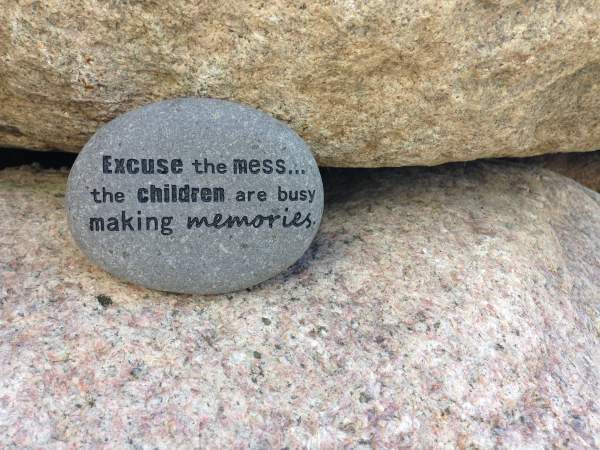 Engraved stones are a perfect way to add that extra touch in a corporate setting, classroom or church - take your pick, the options are truly endless! You have the ability to customize your order so it is one-of-a-kind and presents the exact message and feel that you want to share with those around you. We love to help our customers create something they love. Take a look at the menu to the right for some great ideas, or give us a call at 844-441-2800 to get started. We will make sure we get it just right for you!